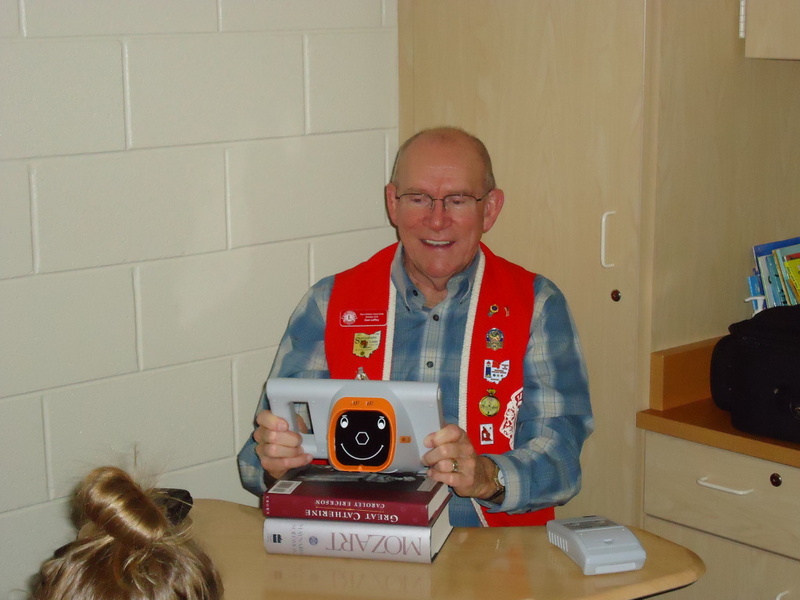 Each year the Port Clinton Lions Club provides "Vision Screenings" for 80+ pre-school children. As a result approximately 10 percent of the children were referred to their eye doctors for further evaluation. We use the latest equipment made by PlusOptix. Research indicates that two-thirds of cases of amblyopia, or "lazy eye," are associated with refractive error. Current testing methods, such as eye charts and autorefractors, can be difficult to perform on young children. In addition, only 21 percent of U.S. children have their vision screened before kindergarten. Unfortunately, 72 percent of children with the disorder go undetected until after the window for effective treatment expires. However, if treatment begins during the window -- before school age -- vision can almost always be preserved. The PlusOptix Vision Screener is a child-friendly instrument that automatically screens vision in just five seconds, addressing an eye chart's compliance problems and making screening of young children easier for both healthcare professional and patient. The technology is ideally suited to detect key risk factors for amblyopia, a marked loss of visual acuity in one eye that affects up to five percent of the U.S. population.